They call her the Old Lady, for she is some 18,000 years old and frail, which is why she is protected by steel doors, security cameras and the gentlest nurturing the 21st century has to offer. Discovered by four teenagers in 1940, Lascaux became a massive draw after World War II, luring as many as 2,000 visitors a day. The cave was eventually closed to the public but the damage was done. Humans had brought in heat, humidity and microbes, upsetting the cave’s ecosystem. Jean Clottes was one of those who had come to gawp. In 1960 as a young man, he was moved to tears by the confident strokes of black, red and ochre and their witness to the human odyssey. He later became a specialist in prehistoric wall painting — and joined the campaign to save the precious site. In an extremely rare visit to the cave last week, Clottes explained Lascaux had been affected in ways no-one could have predicted 60 or so years ago. Six hundred cubic metres (22,000 cubic feet) is the equivalent to about eight 12-metre (40 foot) shipping containers. In its untroubled state, the cave’s microscopic flora had had thousands of years to reach a truce in the battle for habitat. But the introduction of new organisms may have upset the peace, enabling one species to dominate others, said Clottes. The cave was closed in 1963 after green mould started to appear. This was followed in the late 1990s by the emergence of a white fungus, Fusarium solani. The bug either infiltrated the cave through a new ventilation system or during work during heavy rain to install it. The outbreak was tackled aggressively, including the use of fungicides and antibiotic compresses applied to the walls. 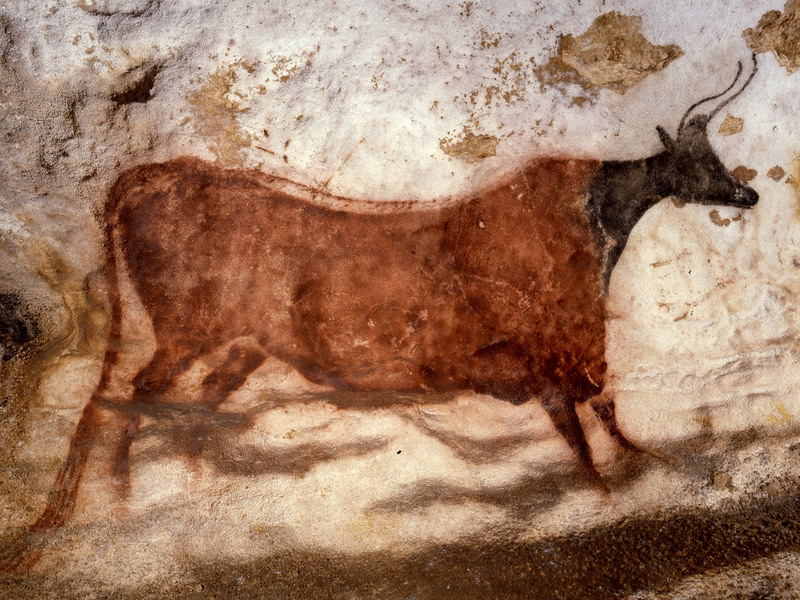 In 2007, black spots of a different fungus, of the Ochroconis group, sparked the UN’s Educational, Scientific and Cultural Organisation (UNESCO) to threaten to place Lascaux on its “World Heritage in Danger” list. Chastened, conservationists today focus on a multi-disciplinary approach, believing any single thrust has side effects in other fields. The cave is fitted with passive sensors to monitor air circulation, temperature and humidity but intervention is kept to a minimum. The fungus seems to be in retreat, for it is limited to a few greyish traces on the bare rock and on small areas of some paintings. “We are using compresses against it but not surgery,” said Muriel Mauriac, an art historian appointed the cave’s curator in April 2009. Under scientific guidance, the human presence is limited to a total of 800 hours per year, including maintenance and academic research. Two hundred metres (yards) from the cave is a visitors’ centre with a replica that receives some 300,000 tourists a year. Visitors to the cave don sterile white coveralls, a plastic hair cap, latex gloves and two pairs of slip-on shoe covers. Previously they had to dip footwear in a germ-killing bath, but this was deemed to be another source of destabilisation. Entrance is made through two airlocks, one of which is an “air curtain” designed to keep out external humidity yet not affect the natural draughts that circulate in the cave through fissures. The paintings themselves, viewed in the glimmer of an LED forehead lamp, are breath-taking. The strokes by unknown hands trigger a shock of how we humans today are linked to our distant forebears. After exactly 45 minutes, our visit is over. We are ushered out, the doors are sealed and the bison, horses and ibexes return once more to dark and silence.